Come and join our growing community of runners. Founded in 2015, Denton Area Running Club (DARC) is an integral part of the running community in Denton, TX and the surrounding area. Bringing runners of all abilities and experience levels together, we host a weekly social run, long run and other club events throughout the year. Whether you are training for your first 5k or getting ready for an ultra marathon, we offer opportunities for growth and support. Check out our races page to see our upcoming road and trail races. 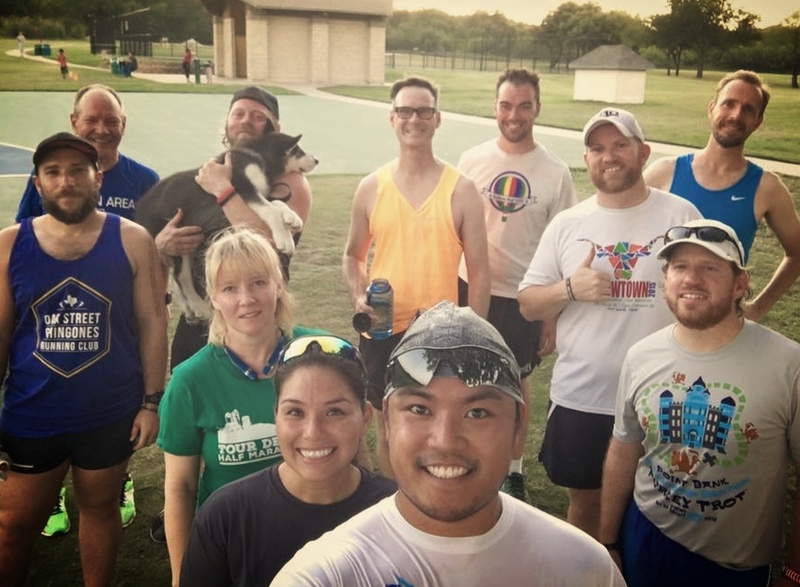 And you can join us every week for our Social Run at OSDH & CP, come run a fun 5k as we run through Downtown Denton every Wednesday night (weather permitting). Join us this summer for our popular Summer Series! Over 8 Mondays, runners will have the opportunity to explore different parts of the city and enjoy new routes and new faces. This year, all registration and sign in will be online so make sure that you show up early enough to sign in to get credit towards the summer series shirt. We invite you to run with us on our fun family-friendly 5k route through historic downtown Denton on Thanksgiving morning. You can come and run or walk with your family in our 5th annual Downtown Denton Turkey Trot and Kid's Gobble Wobble. Our first trail race of the season takes place on the DORBA Trail at Ray Roberts Lake State Park, Isle du Bois Unit in Pilot Point, Texas just 30 minutes north of Denton. The wooded trail is a mix of fast, flat single track along with challenging rocky sections. New to trail running? Become a member and join one of weekly trail clinics. Join us for the third annual Knob Hills Trail Race on the challenging DORBA Knob Hills Trail. This looped course will take racers along the westerly side of Lake Grapevine and along Denton Creek through some of the grittiest trail in North Texas. Just 30 min north of Denton, Johnson Branch offers a chance for new trail runners to get their feet dirty on a moderately technical loop through the oaks of North Texas. 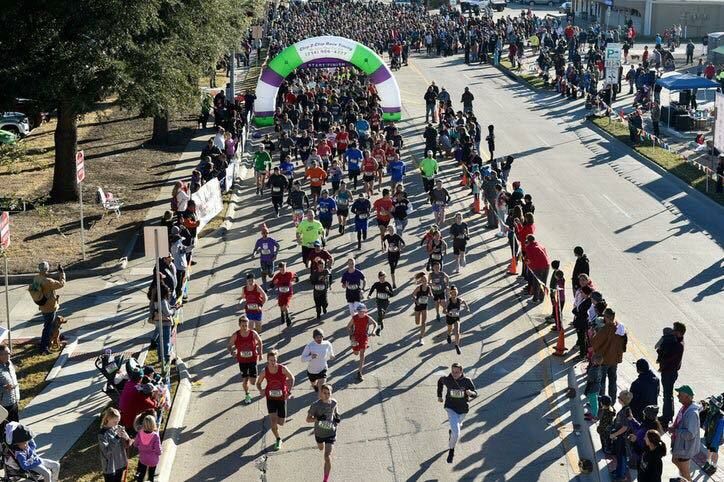 Denton Area Running Club (DARC) members include Denton area residents from all walks of life; students, businesspeople, teachers, artists, fitness instructors, and even nationally ranked trail runners. Our mission is to promote road and trail running in the community. We volunteer and give back to our community and we participate in races all over the country.